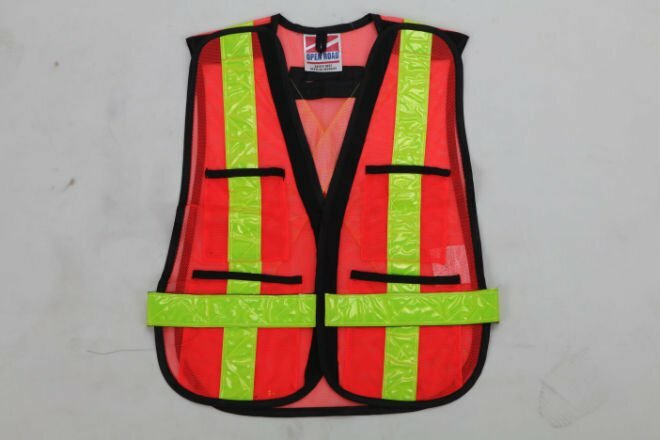 Reflective warning's reflection part of the vest is the use of lattice micro-rhombus type refraction and high refractive index of glass beads back to the principle of reflection, through the post-processing of advanced processing technology made. The light in the day or night have a good retroreflective optical performance. Especially at night, it can play the same high visibility as the day. The use of this high-energy reflective material made of safety clothing, whether the wearer is in The distance, or in the light or scattered light interference, it can be relatively easy to be found by the night driver. Looking for ideal Reflective Safety Clothing Manufacturer & supplier ? We have a wide selection at great prices to help you get creative. All the Reflective Safety Mesh Vest are quality guaranteed. We are China Origin Factory of High Visibility Safety Vest. If you have any question, please feel free to contact us.